important for our mental health. In one of these pathways B12 teams up with Folate (aka Folic Acid or B9) to produce serotonin and dopamine; both are neurotransmitters associated with your mood and mental health. If we don’t have enough of these neurotransmitters, our mental health may be negatively affected. In another pathway, Vitamin B12 affects a neuronal process called myelination. Myelin covers our neurons. Myelination is the process of creating that cover and when it’s well myelin keeps our neurons transmitting signals properly. If B12 isn’t doing its job, performing cognitive tasks (formal thinking) tasks can become more difficult, and your mental health could be affected. Pondworks Psychiatrists and Psychiatric Nurse Practitioners think about your B12 level. We definitely want to invite these B12 workers into our bodies!! The average American diet (US RDA 2.4ug/day, Western Diet 5-8ug/day) should make getting enough B12 a simple task, but there can be several reasons this may not be the case. At Pondworks in North Austin, our psychiatrists and psychiatric nurse practitioners keep in mind the need to ask questions and consider these problems. 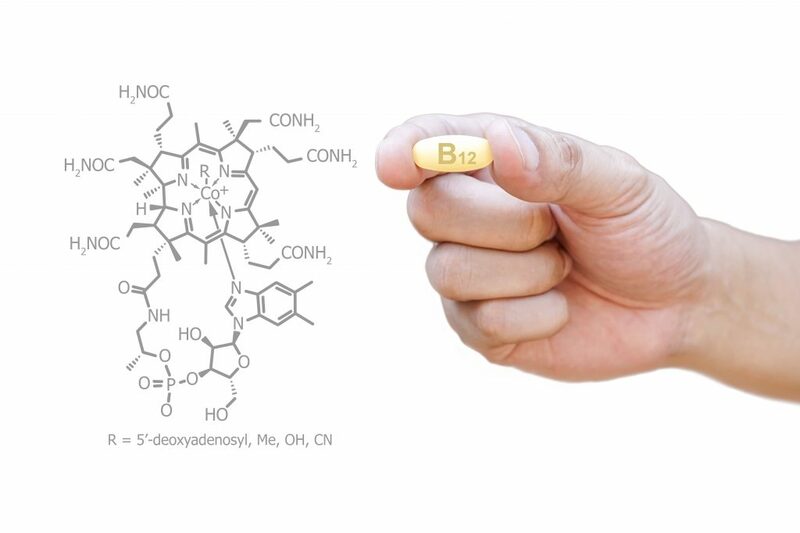 If our providers have a concern that your B12 levels are low, the integrative psychiatric approach starts with checking several markers to diagnose B12 deficiency. If the diagnosis is confirmed your psychiatrist or psychiatric nurse practitioner can then advise you of the best way to treat the problem. Integrative psychiatry means that your provider is keeping in mind medical issues which might be contributing to your problem. Does Cognitive Behavioral Therapy Work? Virtual Mental Health: Does it Work? © 2012-2017 Pondworks Psychiatry, P.A.